The Hornby West Coast Highlander Train Set offers the model railway enthusiast a super train set with an engine, wagons and a good starter layout that can be extended with any items from the Hornby Accessories range!! At the peak of its operational powers, the West Coast Highlander hauled freight trains along the small branch lines of the Highland Line, connecting the remote rural towns and villages of Scotland to the main line. 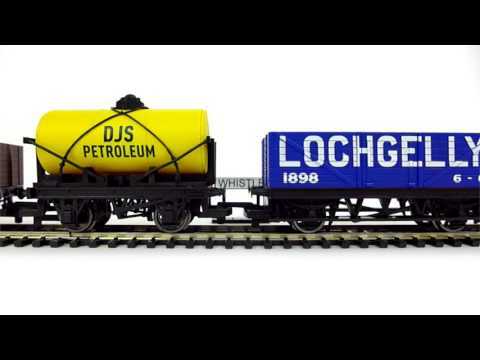 Train Set Accessories & Model Railway Scenery, including signals, sheds, telegraph poles and water pump.